I BOUGHT THIS BOOK ON LINE BECAUSE I HEAR IT WAS A VERY GOOD READ AND IT WAS WORTH EVERY PENNY. 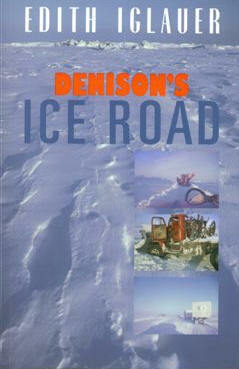 IT IS BASICALLY THE AUTHOR EDITH IGLAUER TRAVELING WITH THE MEN WHO BREAK OPEN THE ICE ROAD FOR THE HIGHWAY TRUCKS TO FOLLOW. SHE TELLS ABOUT THE ADVENTURES AND FUN THEY HAD OPENING THE ICE ROAD. IT IS A VERY WELL WRITTEN BOOK AND HAS BEEN UPDATED WITH EXCELLENT PICTURES BUT YOU HAVE TO REMEMBER THE BOOK IS OVER 30 YEARS OLD. SO I HOPE YOU ENJOY IT AS MUCH AS I DID.